It was the car that gave the Soviet bloc a bad name. At the height of the Cold War, the Soviet Union’s Moskvich sedans were lampooned in the West as some of the worst cars ever made. Which is why it’s so surprising that Russia’s leading weapons manufacturer would want to base its brand-new electric concept car on the retro lemon. The CV-1 is the first electrical car to be made by Kalashnikov, which has been producing the AK-47 assault rifle and its derivatives since the early 1950s. 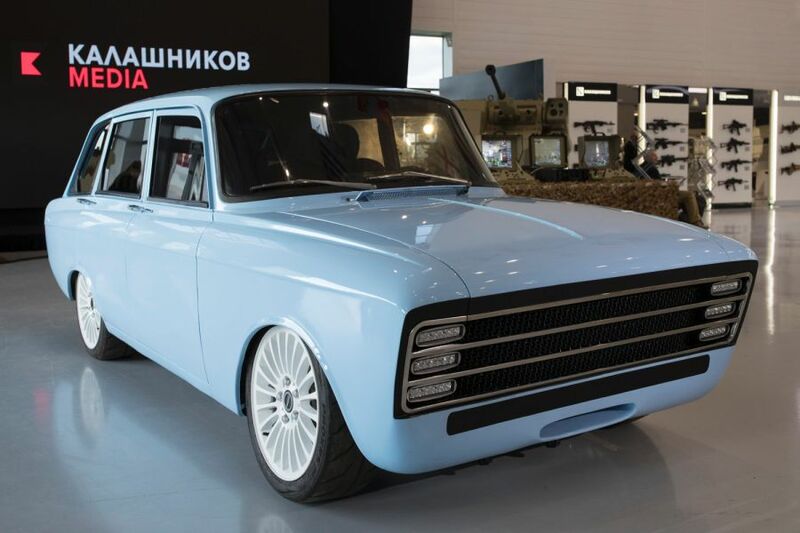 The prototype, unveiled last week in Moscow, will allow Kalashnikov to compete “with the world’s electric car manufacturers, like Tesla,” the company said. The concept car incorporates several original solutions, including a high-speed battery modular control system and a “revolutionary” compact inverter, Kalashnikov said. This will allow the “super car” to have a sizzling performance, including the ability to reach 60 mph in 6 seconds and a range of 220 miles on a single charge. Kalashnikov said that the car’s body was modeled on the Moskvich’s IZh 2125 Kombi model, a compact car designed by the Soviets in the late 1960s. The unveiling sparked a storm of mockery on social media, Russia’s RT network reported. “I have a strong feeling that they didn’t even touch the body as they found it in a junkyard and put the (new) kit on it,” said a tweet cited by RT. This is the second time in recent weeks that Kalashnikov has announced a concept vehicle. Earlier this month, at the Army 2018 expo in Moscow, the company unveiled a 13-foot, 4.5-ton robot model resembling a Star Wars light armored walker. It too got roasted on social media, RT reported. Kalashnikov’s AK-47 assault rifle and its knockoffs are reportedly the most produced firearms in the world. At least 35 million having been made in about three dozen nations. U.S. troops have faced opponents equipped with the weapon in all conflicts since Korea, including Vietnam, Iraq and Afghanistan. It is regarded as a weapon of choice of insurgents of all stripes, drug gangs and terrorist groups. In recent years, its producer, Concern Kalashnikov, has branched out into other products, including knives, perfume, keychains, umbrellas, night lights, toys and other items shaped like the AK-47. There is even a Kalashnikov Vodka in bottles shaped like the famed assault rifle.